The 2014 Turtle Nesting Season has officially commenced, and biologists at the Ambergris Caye Marine Turtle Program have already recorded two nests at Robles Point. 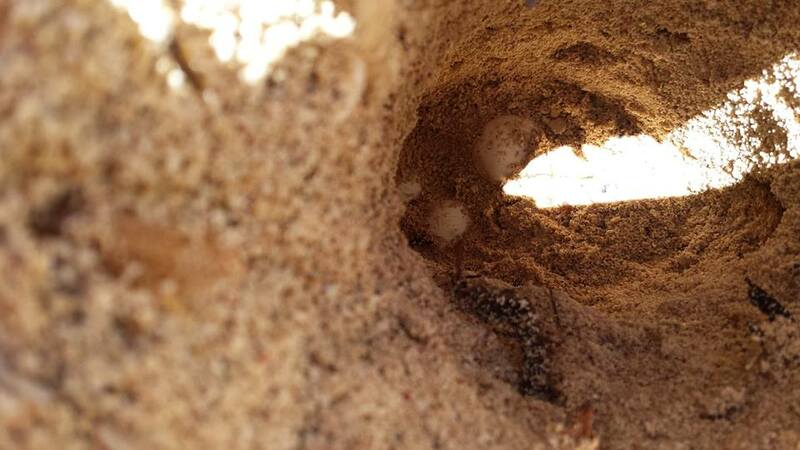 The nests were found on Tuesday, May 20th during a check of the beach and are the first nests observed for the season. The season runs from the months of May to November, with sea turtles nesting particularly in the Robles Point, Rocky Point and Basil Jones Area. There are three species of turtles who nest on Ambergris Caye: the Loggerhead turtle (ChleoniaCaretta), the Green turtle (ChleoniaMydas) and the Hawksbill turtle (Eretmochelys imbricate). Mature female turtles usually return to nest in the same areas that they were hatched and continue to nest in that area for the remainder of their life span. One single female turtle can lay from 70 to 190 eggs, depending on the species, and they take between six to ten weeks to hatch. After the eggs hatch, the young turtles must make their way to the sea, unfortunately only a few hatchlings survive that journey to sexual maturity. There are several threats to turtle nesting, including climate change, wild animals/predators and human activity, particularly poaching and heavy traffic by motorized vehicle. The public is reminded that poaching turtle nests or sea turtles is illegal, as in having turtle products, including the carcass, eggs or hatchlings. Another issue that affects the turtles is lighting. Hatchlings have a tendency to follow the brightest direction which is usually the sea reflecting light from the moon. As more development is happening up north, there are more artificial light sources coming from hotels and homes. Baby turtles can become disoriented by the light, leading them astray from the sea, and they can become stranded and even die. 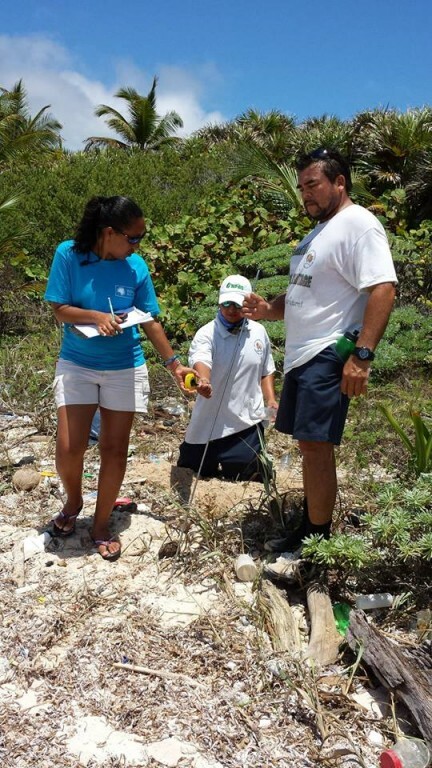 Everyone is encouraged to practice caution when travelling the beach, as well as report stranded hatchlings, suspected turtle nests or turtle crawls along the beach to the Hol Chan Marine Reserve Officer at 226-2247. Turtle Nesting season is at its peak! Who do you think will be La Reina de la Costa Maya 2010?